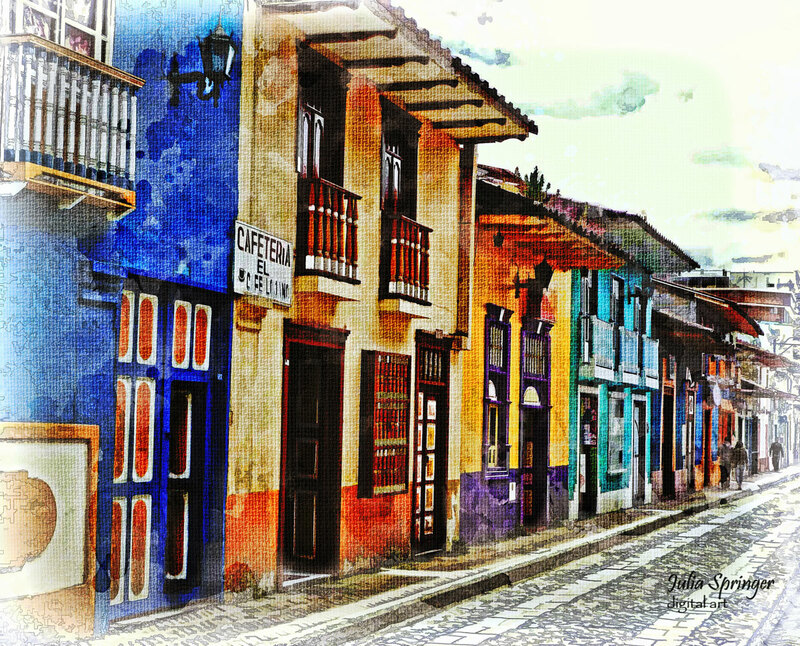 In the center of the city of Loja, Ecuador, you will find Calle Lourdes. This colorful street is lined by colonial buildings that have been painstakingly restored and are painted in vibrant, gemstone colors that seem to glow in the afternoon sunshine. Balconies, carved wooden doorways, and antique street lamps punctuate the plaster facades of the residences, cafes, and galleries which spill onto the tiled stone sidewalks bordering the cobblestone street. Loja was founded in 1548, making it one of the oldest cities in Ecuador, and was the first Ecuadorian city to be wired for electricity, as long ago as 1896, thanks to its hydroelectric dam. Capital city of the province of the same name, Loja is situated in the southern Andes, between the Zamora and Malacatos rivers in the Cuxibamba Valley. Also known as the musical capital of Ecuador, Lojanos have a saying that translates as, “He who does not play the guitar can sing a song; he who does not sing a song can write a verse; he who does not write a verse reads a book.” The city is rich not only in monuments, but also in public artworks including two giant frescos just inside the city gates. Bordering the Podocarpus cloud forest National Park, the city also prides itself on the oldest botanical garden in Ecuador – also one of the highest-altitude botanical gardens in the world – that covers seven hectares and houses over 800 native and exotic species. Have any of you visited Loja?